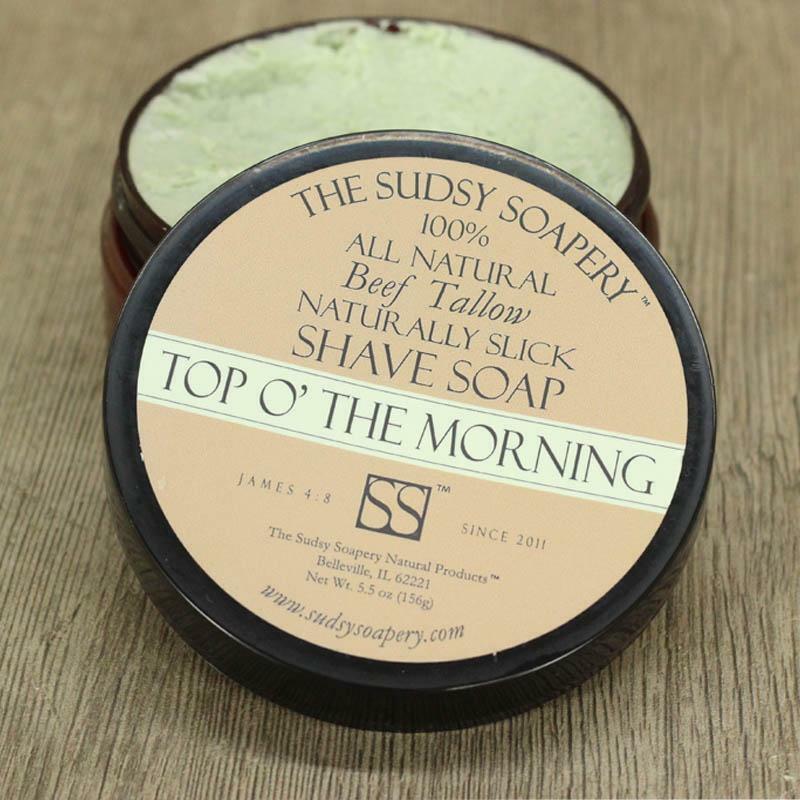 This Top O' the Morning has a refreshing and cool Irish morning scent. 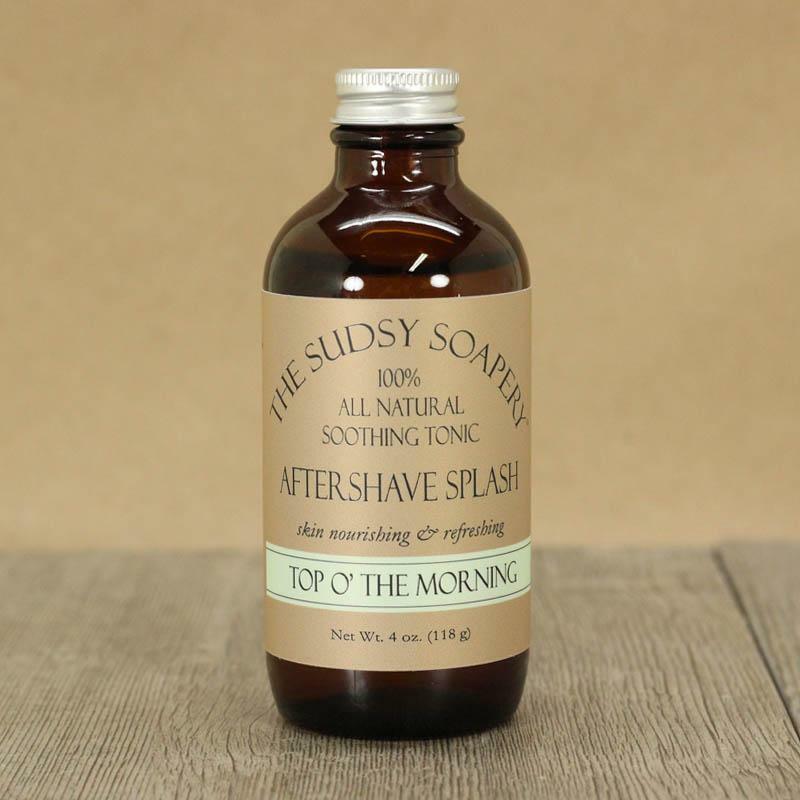 It is fresh and robust and probably the most amazing scent The Sudsy Soapery™ has ever stumbled on. Mostly all of our scents are mixed in house by an amazing tried and true process of blending essential oils into perfect harmony with each other. Saponified Stearic Acid, Menthol, Beef Tallow, Palm (RFC), Coconut, Castor, Kokum Butter, French Green Clay, 100% Pure Essential Oil Blend, Vegetable Glycerin, Sodium Lactate, Honey, Beeswax, Lanolin, Organic Aloe Leaf, Green Oxide. Organic Witch Hazel, Water, Vegetable Glycerin, Sodium Lactate, 100% Essential Oils, Menthol, Organic Aloe Leaf, Jojoba, Vitamin E, Chamomile and Calendula Extract. Hemp, Water, Witch Hazel, Mango Butter, Beeswax, Glycerin, Vegetable, USP, Cetearyl Alcohol (from sustainably sourced Coconut and Palm oils), 100% Pure Essential Oils, Vitamin E.